Demi, Semi, Temporary, or Permanent? Which to Choose? Photo © imagenav | Getty Images. People color their hair for various reasons -- for guys, color is most often used to cover gray hair and give a more youthful appearance. For some guys, color may be used to lighten dark hair, darken light hair, or create trendy streaks of color. Of course, selecting the right color (and right type of color) can be tricky and, if desired, achieving a natural looking result can be even trickier. For that reason, I always recommend going to a professional colorist or, at the very least, seeking the advice of your barber or stylist before you consider coloring your hair home. 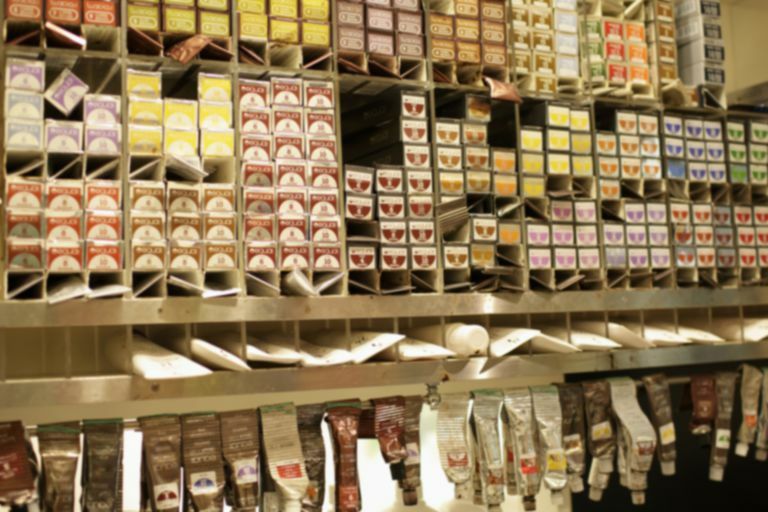 Certain types of color formulas are better for particular types of hair or results. Let's look at each type of color. Temporary color comes in a variety of forms, including rinses, shampoos, gels, foams, and sprays. Temporary colors simply coat the hair shaft, rather than penetrating it, making the color fairly easy to rinse out. Temporary color is available in brighter, more unnatural shades and is often used for halloween or costume parties. It should be noted that hair that is very dry or damaged may allow some penetration of the hair shaft, so the color may linger through several washings. Semi-permanent color is just that -- semi permanent and will last for four to eight shampoos or for a few weeks. Semi-permanent color (such as Just for Men), which is often applied as a cream or rinse, is made up of a smaller molecule which can penetrate the hair shaft. Because semi-permanent color contains lower concentrations of developer (peroxide or ammonia), they are less damaging to the hair and safer for damaged hair. Semi-permanent dyes darken hair or add color, but cannot lighten hair. Because the color fades over time, you will not have to deal with the hassle of having your roots touched up. Semi-permanent color will not completely cover gray hair, but will darken it and make it less noticeable. Demi-permanent color is more permanent than semi-permanent color. Like semi-permanent color, a demi-permanent color contains no ammonia and will also not lighten the hair, but it does deposit color more effectively than a semi-permanent color so the effect will last for around 20 or 30 shampoos (or up to 12 weeks). Often, salons use demi-permanent color as a refresher for existing color or to blend away gray hair. Permanent color (such as Clairol Natural Instincts for Men) is normally applied in the form of a cream and completely penetrates the hair all the way to the cortex (this is where melanin, which gives the hair its color, is located). Permanent color combines with the hair's natural pigments -- the two combined form larger molecules which become permanently trapped in the cortex. As a result, permanent color will not wash out (although it may fade) and can only be removed by using a bleaching or stropping product (or, of course, waiting for the hair to grow and cutting it off). Permanent color is best used for those desiring to completely cover gray hair of for creating an entirely new color altogether. Now that you know the different types of hair color, you can now work with your barber or stylist to select the type of effect you're after.